As a learning organization, Helvetas critically assesses the impact of its endeavours and strives to make sustainable changes. We want to find out precisely what impact our development work has - to learn from successes and mistakes; to plan projects and steer them correctly; and to show accountability to our donors and project partners. Annually captured field data from our projects are the basis for a set of performance indicators that show how many people all over the world benefit from our work. Project staff in the field continuously monitor the project’s progress. Detailed half-year reports give information about project costs and results, future challenges, and any relevant political and social changes. In order to assess the overall impact, projects are additionally evaluated internally or externally after the completion of a project phase, which usually lasts three years. Regular reporting and evaluations inform ongoing and future project designs and allow adjustments. In addition, reports and performance indicators allow Helvetas to be accountable to its project partners and donors. Today, results measurement is an integral part of all professional development cooperation. However, Helvetas goes a step further: Annually, the long-term impact of of a few selected programs is evaluated by external evaluators. The example of an impact assessment from Nepal shows how skills training has made a lasting difference in the lives of young disadvantaged groups. To what extent can a specific impact be attributed to Helvetas’ intervention? Did the intervention make a difference? How has the intervention made a difference? Will the intervention work in a different context? The experiences gained in Nepal have inspired projects in other parts of the world such as the SKY project in Ethiopia. Helvetas’ staff and partners are encouraged to learn from their daily experience in development cooperation in different ways; for instance by reflecting periodically on what went well and what could have gone better, and what this implies for our future work. In a learning organization, individual and collective reflection and learning lead to improved ways of working, achieving goals and innovation. A project evaluation is an integral part of project implementation. It is a key moment for learning and change. Ideally, everyone involved in a project learns from an evaluation. This can be achieved by making the evaluation process participatory: Project staff, partners and primary stakeholders can contribute to the evaluation, reflect jointly and shape its recommendations. Learning goes beyond the project: Good ideas and practices are adopted by other projects and organizations within the same country, in the region or globally. From an organizational perspective it is also important that problems identified in a recurrent manner at a project level are spotted and taken up at the appropriate level. 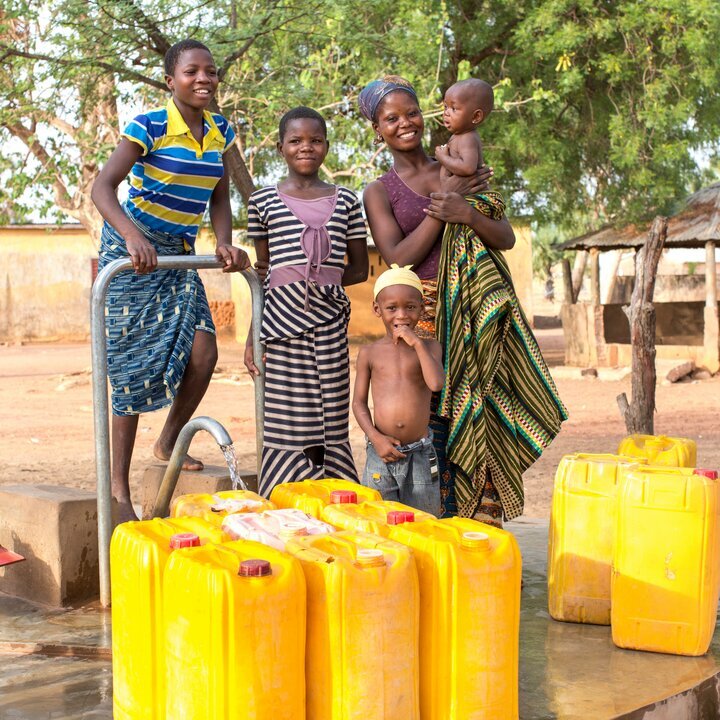 For example, the impact assessment on access to water for villages and schools in rural Benin revealed the need to focus on behavioral change to ensure that the quality of the water is maintained. The lessons learned have been widely spread. Today, behavioral change is an integral part of the majority of Helvetas’ projects in the water sector. A systematic approach to learning and evaluation is necessary to promote linkages and to ensure that there is time for reflection and action at all levels. Meta evaluations can be key opportunities for learning as they provide the space for synthesizing experiences from different levels and time periods. We promote learning from evaluations at the individual program level as well as in a consolidated way across the organization. In 2012, Helvetas aggregated results from 60 international projects by conducting a meta evaluation. The films below give information on the origin and scope of the meta evaluation as well as the key findings. Helvetas promotes learning in different ways; for example through creating an environment that values and rewards learning and knowledge sharing, through storytelling, peer assessments, conducting participatory impact assessments and evaluations. Non-Traditional or Traditional Trades for Women? We support our partners to become organized and train local authorities to assume responsibilities. That ensures continuity of successful project interventions.